Castle established by William Fitz Osbern in the late 11th century. 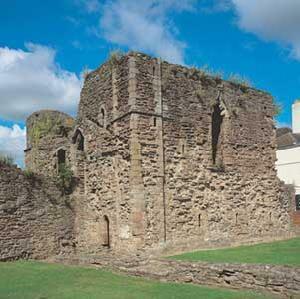 The remains of the great hall date to the first half of the 12th century. Later remodelled by the Lancasters. Birthplace of Henry V. Can be viewed externally.